Commercial Floor Cleaning - Come to Heaven’s Best for top quality commercial carpet cleaning for your work or office space. We provide the most detailed cleaning for even the biggest commercial carpet areas. 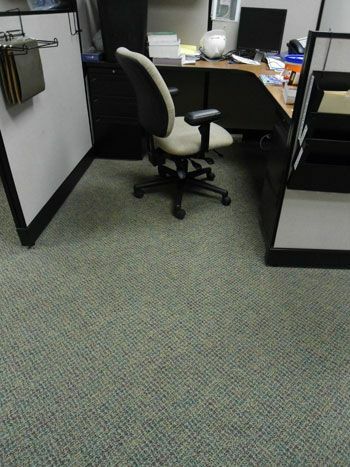 Come to Heaven’s Best for top quality commercial carpet cleaning for your work or office space. We provide the most detailed cleaning for even the biggest commercial carpet areas. Heaven's Best can also make your office, business, or any commercial building look spotless. We provide customized commercial carpet cleaning and maintenance to accommodate your needs in Fort Madison, IA area. Our commercial customers value our ability to provide safe and flexible maintenance solutions for their carpet and textile finishes in their work environments. We help them increase their return on investment be extending the service life of their interior finishes. To maintain a cleaner and healthier workplace, you can trust the Heaven's Best System. Our unique system is designed specifically for each individual aspect of your company's interior finishes. It offers flexibility that allows us to continually monitor and manage your needs and respond accordingly as changes occur within your company. Want to keep your hardwood floors clean and looking good? Heaven's Best professional hard floor cleaners available for booking. Heaven's Best professional tile and grout cleaning can renew your floors to their original luster. Full Service Carpet & Upholstery Cleaning Specialists. Upholstery Cleaning can Restore any kind of furniture! Our technicians are experts in cleaning any upholstery style on any furniture surfac. Heaven's Best Carpet Cleaning offers a special cleaning process for your area rugs. Heaven's Best's fast, professional services gets you back in business without interruption. We clean carpet, hardwood floors, T&G cleaning and sealing, upholstery, oriental rugs and carpet repair.